Whether from individuals or organizations, or whether from Lions or non-Lions, gifts to the Lions Eye Foundation of California-Nevada, Inc. (LEF) are deeply appreciated. The LEF is a locally based 501(c)3 corporation with EIN 94-1676055, and donations are deductible to the full extent of the law. Any Lions Club in the geographic areas we serve can become a member of the LEF by paying a one-time application fee of $100 and annual contributions to LEF. Member clubs are entitled to refer patients. Click here to download Club Membership application form. In honor of Don Stanaway's 30 years as Executive Director of the Lions Eye Foundation, the Foundation has created the Don Stanaway Fellow. For the contribution of $250 the recipiant will receive a specially designed Don Stanaway lapel pin and certificate. This is an affordable way to honor a member of your club. Proceeds from this award benefit the LEF Capital Campaign and major equipment purchase. This may be given as a memorial gift with an acknowledgement sent to whomever you designate. Click here to download a Don Stanaway Fellow application form. Like the Stanaway Fellow Award, this award honors Don Stanaway's 30 years of service as Executive Director of the Lions Eye Foundation. For a $500 donation, the participant will receive a Don Stanaway Life Member pin, a framed certificate, and a plastic banner attachment. Proceeds from this program will be used for the LEF Capital Campaign and major equipment purchases. This may be given as a memorial gift with an acknowledgement sent tp whomever you designate. Click here to download a Don Stanaway Life Member application form. Helen Keller challenged Lions to become 'Knights of the Blind' and to devote their energies to improving the vision of mankind. The LEF has accepted this challenge, and has created a Helen Keller Fellowship Award to recognize those who commit at least $1,000 to the LEF. Both a plaque and a lapel pin are issued for $1,000. Progressive awards are available for increments of $1,000 and adding a ruby, sapphire, and diamond to the lapel pin as shown below. Proceeds from these awards benefit LEF General Operations. This may be given as a memorial gift with an acknowledgement sent tp whomever you designate. Click here to download Helen Keller application form. To honor those individuals who have included the Lions Eye Foundation in their estates, we have established the Future Vision Society. To become a member, all you need to do is complete the following form confirming that the LEF is included in your will or trust. The amount of the bequest need not be stated. Each member of the Future Vision Society will receive a special lapel pin and certificate. Click here to download the Future Vision form. The Don Stanaway Fellow Award, Don Stanaway Life Member Award or the Helen Keller Fellow Award may be given as a memorial award. If you wish to donote one of those awards, please use one of the appropriate forms shown above. If you wish to donate a different amount without an award in honor of or in memory of an individual, please complete the following form. Click here to download the Honorary-Memorial Donation form. Interested in making a pledge of $5,000 or more to the Lions Eye Foundation Capital Campaign payable over a period of time? Click here to download the Pledge Agreement form. Turn that old vehicle into "Dollars for Sight." We can accept most any vehicle, with one major restriction - if applicable, by California State law, it must be able to pass a smog test. Please help us by donating your extra vehicle and receive a tax deduction as well. Click here to download the Vehicle Donation form. Have you considered including the LEF in your Estate Plans? 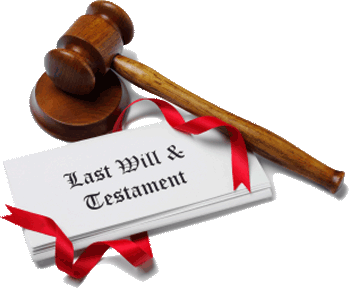 There are a number of options available for your consideration such as designating the LEF as a direct beneficiary in your will, setting up trusts that gives you or a surviving spouse income for life, endowments, and the like. It is best to consult with a financial advisor and an attorney who is knowledgeable in estates and trusts who can assess what is best for you. For more helpful information about the Lions Eye Foundation please contact: Executive Director John Posey at (415) 883-4949.